The Juniper Gardens Children’s Project (JGCP) and the Kansas City, Kansas School District (USD 500) share a history of collaboration. Responding to local needs for better school success and complementing the District’s Literacy Plan, District leadership and the JGCP will begin implementing Literacy 3D intervention in their Pre-K and Head Start programs beginning this Fall 2018. Literacy 3D is the result of a four-year pilot effort that was recently funded by a US Department of Education grant. Literacy 3D is a professional development program that helps teachers improve children’s literacy experiences in the classroom using children’s performance data and support provided by a coach. JGCP literacy coaches will team up with KCKS preschool teachers to improve children’s engagement in evidence-based literacy activities and foster growth in pre-literacy skills. Literacy 3D activities include games focused on manipulating letters and letter sounds, the sounds of words, and opportunities to use new vocabulary and answering questions about stories. 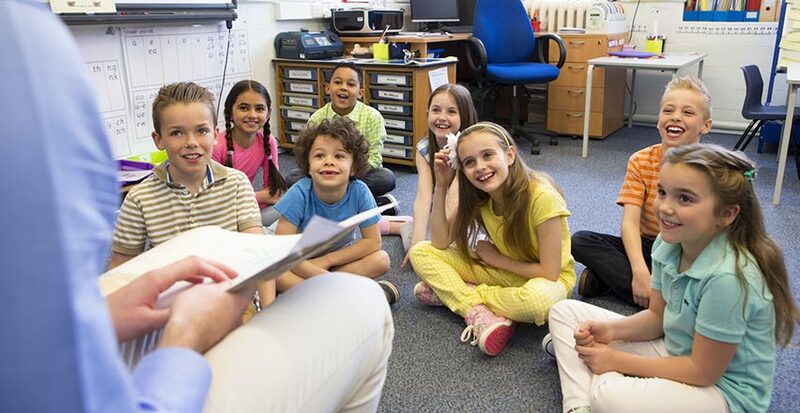 Coaches will offer teachers ideas and tips to support children’s literacy development by increasing storytelling, circle time, and small group literacy activities as well as tips for managing challenging behavior and increasing children’s active participation in activities. A key finding at the JGCP for years has been that keeping children’s active involvement is key to learning. We will help teachers and assistant teachers instruct children in the names and sounds of letters. They will also learn important pre-literacy skills such as rhyming, separating words into syllables, and beginning reading of letters and words. These will be important skills for putting children on a pathway to school success. You can follow this exciting work along at our developing website. JGCP hopes to expand Literacy 3D to other classrooms and programs in the Kansas City Metro area in the next 3 years. Administrators, principals, teachers and parents interested in participating in Literacy 3D beginning in fall 2018 or fall, 2020 should email greenwood@ku.edu or call Alana Schnitz at 913-321-3143.